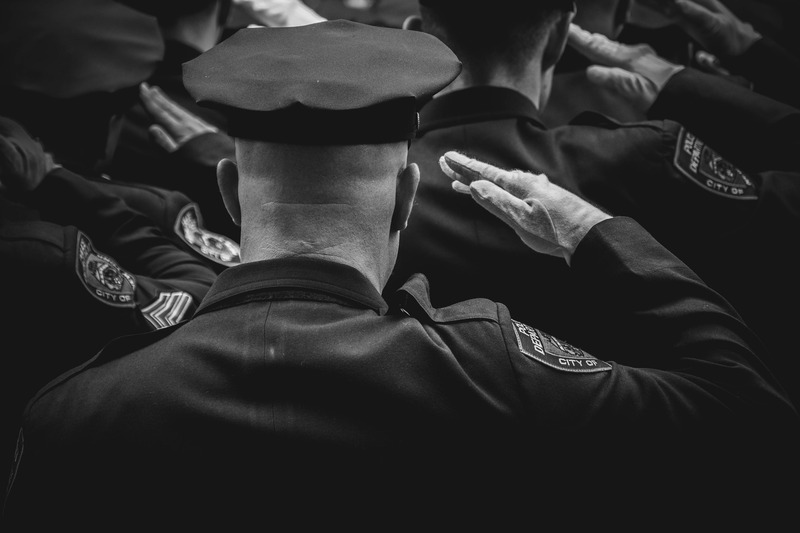 Last week the Supreme Judicial Court (SJC) issued its decision in Yee v. Massachusetts State Police, an employment discrimination case raising the question of whether denying a police officer a lateral transfer to different troop could be a discriminatory under our state anti-discrimination law. (As a note of disclosure: I wrote an amicus brief on behalf of the Massachusetts Employment Lawyers’ Association and other groups in support of the plaintiff, Lt. Yee.) The SJC reaffirmed that chapter 151B—Massachusetts’ law addressing discrimination in employment—is to be read broadly to protect employees. The Court held that when an employer makes a decision that causes a material disadvantage to an employee in objective aspects of their job, even if the employee doesn’t lose money as a result of the decision, that decision is illegal employment discrimination if it is based on the employee’s membership in a protected class. Lt. Yee was a Chinese-American lieutenant for the State Police in Troop H, located in South Boston. In 2008, when he was 54 years old, he requested a transfer to Troop F at Logan Airport. He requested that transfer because, among other reasons, he believed officers who worked at Troop F had more opportunities for overtime pay and paid detail work than officers in Troop H.  He repeatedly reaffirmed his interest in transferring to his supervisors over the course of the next four years but was never even interviewed for the position. In that time period, the State Police transferred or promoted seven white men to the position of lieutenant in Troop F. Five of them were younger than Lt. Yee. In September 2012, Lt. Yee wrote a letter to the State Police Superintendent, complaining of discrimination. Two weeks later, another younger white man was promoted to lieutenant and transferred from Troop H to Troop F.
Lt. Yee brought a discrimination claim against the State Police, arguing that the denial of the transfer he requested was discriminatory on the basis of his race, age, or national origin. The key evidence he provided to support his claim was that the officer who was promoted earned $30,000 more each year working in Troop F than he had in Troop H, and after two years when he was transferred back to Troop H he was earning $30,000 less. A Superior Court judge granted the State Police’s motion for summary judgment, finding that Mr. Yee had not met his burden of showing that the State Police took an “adverse action” against him in denying the transfer request. The Superior Court judge held that to show that there was an adverse employment action, Lt. Yee would have to show that he actually lost money by not being transferred either because officers in Troop F automatically made more than lieutenants in Troop H (which is not the case) or by presenting statistical data showing that lieutenants in Troop F routinely made more than those in Troop F. (As the SJC noted in its opinion, the State Police has that kind of compensation data, and didn’t use it as evidence to support an argument that the opportunity for overtime earnings were the same in the two troops.) The SJC reversed the lower court, rejecting its reasoning, and sent the case back for the court to consider the summary judgment motion again. The SJC’s decision broadly construed the concept of an “adverse action” to find in favor of Lt. Yee. Its interpretation is consistent with the remedial purpose of c. 151B and commonsense understandings of how workplaces operate, including what factors make jobs more or less desirable to employees. The Court highlighted bedrock principles of employment discrimination law in Massachusetts. The Court reiterated the statute’s language that it must be “construed liberally” to effectuate its remedial purpose and applied that liberal construction to its assessment of what constitutes an “adverse action” in employment discrimination cases. The Court also noted that c. 151B is at least as protective, and at times read more broadly, than Title VII, the federal employment discrimination law. The Court held that an adverse action is one that would work a material disadvantage to the employee in objective aspects of his or her employment. That much had previously been held by the Massachusetts Appeals Court. The SJC added, however, “The disadvantage must be objectively apparent to a reasonable person in the employee’s position,” and that whether an employee suffered an adverse action has to be examined on a case-by-case basis. While holding that the aspects of employment affected must be “objective” and that the disadvantage must be “objectively apparent” the Court indicated that the employee’s subjective feelings about what would advantage or disadvantage him or her are also critical. The Court gave the example of a transfer from an evening shift to a day shift—for some employees that transfer would be advantageous, for others, based on other aspects of their lives or their personal preferences, it would be disadvantageous. The employee’s own feeling about whether or not the transfer would disadvantage him or her would be relevant to deciding if the action was adverse. Going forward, employees who want to make a prima facie case must put forward “evidence of any ‘objective indicator of desirability’ that would ‘permit a reasonable factfinder to conclude that the sought for position is materially more advantageous.’” The Court found that denying an employee a position with the potential to earn more compensation was “undoubtedly” an adverse action and held that Lt. Yee’s “desire” to move to a troop where there was more opportunity to earn additional compensation was one such “objective indicator of desirability.” While the Court did not discuss other factors that could be objective indicators of desirability, in developing this holding it relied on a federal case from New York that highlighted a wide range of “objective indicators,” including: rumors that the employee’s current job site was going to close, the fact that the sought-after-position had better technology for employees to use than the employee’s current position, that high number of employees had applied to the sought-after position, and that the sought-after position would teach the employee new skills. The Court explicitly noted that in deciding Lt. Yee’s case—which involved a transfer denial that deprived Lt. Yee of the potential to earn additional compensation—it was not deciding the question of whether the transfer denial would have been adverse if less traditional conditions of employment had been at play. In Lt. Yee’s case, he had also noted that he wanted to transfer to Troop F because his fluency in Chinese could be of assistance to travelers at Logan, and he wanted to use those language skills. The Court said it was not reaching the question of whether if the only difference between Troops H and F was the ability to use Chinese, Lt. Yee would have made out a prima facie case of discrimination. However, given the Court’s reliance on the Second Circuit case, and its repeated statements about the need to construe c. 151B liberally, it seems clear that there will be many different factors that may make one position objectively more desirable to an employee than another. The Court also noted that it was not deciding whether there would be any c. 151B violation if an employer established a location where it excluded members of protected classes, but there were no other material differences between the working conditions at the two locations. The Court noted that Title VII, unlike c. 151B, contains an explicit prohibition on employers segregating or classifying employees in any way that would deprive an individual of “employment opportunities.” While it would be shocking if the Court read c. 151B, with its mandate of liberal interpretation, to allow employers to provide explicitly segregated, “separate but equal” job sites, the Court decided not to reach that question in this case. Finally, the Court ducked a major question that has been coming up in Massachusetts appellate cases for years, which is whether the courts will adopt the standard for retaliation claims that the Supreme Court set out for Title VII cases in Burlington Northern & Santa Fe Railway Co. v. White in 2006. In that case, the Supreme Court held that for retaliation claims, an “adverse action” is one that could “dissuade a reasonable worker from making or supporting a charge of discrimination.” This definition of “adverse action” for the purpose of a retaliation claim (which was not raised by the plaintiff here) is different and could be construed more broadly than the definition of “adverse action” used in discrimination cases (even the definition the SJC announced in Yee). Given the precedent making clear that c. 151B is generally interpreted the same as Title VII, except for those instances where it is broader, it seems inconceivable that this definition of a retaliatory adverse action is not the definition that should be used under c. 151B, and indeed, the Burlington Northern definition of retaliation has been repeatedly adopted by lower courts. Yet since the Supreme Court decided Burlington Northern nearly 13 years ago, the Massachusetts appellate courts have continually avoided clarifying that issue, and again declined to decide it in Yee. Given the Court’s focus on the fact-intensive nature of determining what constitutes a discriminatory adverse action, and its broad interpretation of the term “adverse action,” while employers may continue to try to litigate this issue, it seems unlikely they will succeed in winning summary judgment motions on cases advancing these claims. Instead, it will be for juries to decide whether one position has material advantages over another, guided by the Court’s clear language requiring the plaintiff’s own circumstances and desires be considered. If you have been a victim of employment discrimination, contact us here or call us at 617-742-6020.